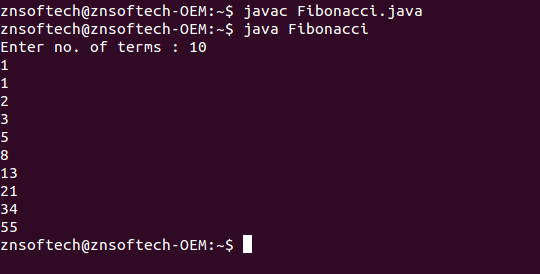 Java program to generate Fibonacci series containing given number of terms using recursion. 2. Accept the number of terms of the Fibonacci series from the user. 3. A particular term of the series is the sum of its previous two terms. 4. Using method recursion generate the terms of the series. 5. Print the Fibonacci series up to the number of terms as required by the user. High-quality essays on the topics you need on the best conditions and as soon as possible.